At Hewes Security we can provide to both domestic and commercial customers fire protection systems for Basildon. Our fire system includes fire detection using fire alarms, which we will install as well as maintain after it has been fitted. If you are unsure whether your property needs a fire protection system we can even provide you with a fire risk assessment so you can discover flaws in your current system that could make you vulnerable. 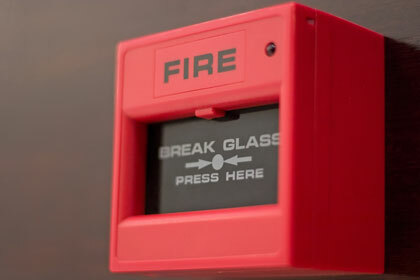 All our fire protection systems have be carefully selected in order to ensure you are receiving a quality product.